This drain protector was needed to protect a basement drain from a large amount of water flowing from a roof down pipe. The grill in situ quickly became blocked, resulting in water entering the basement. 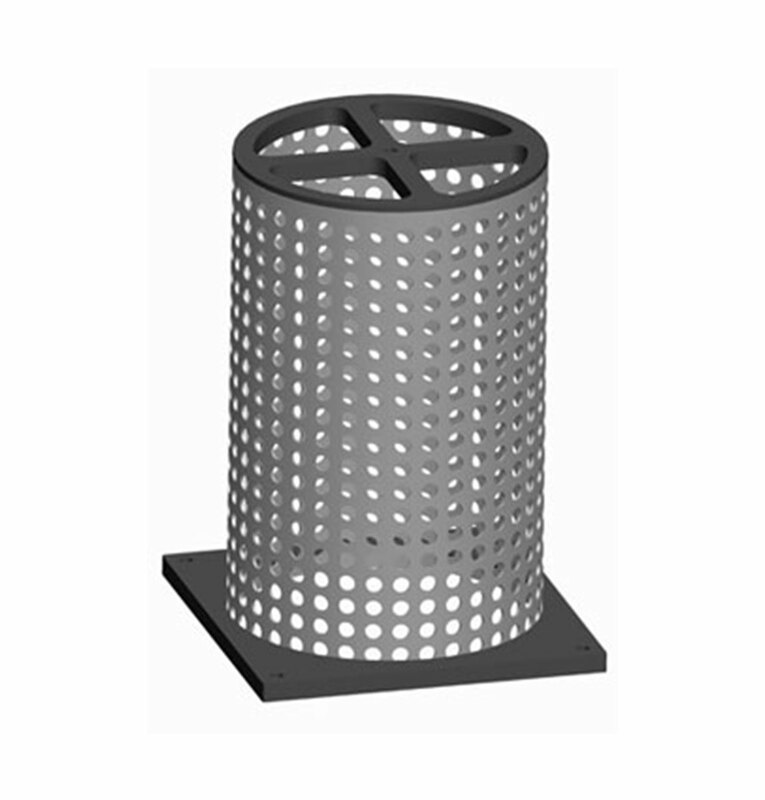 This design protects the drain from blockage whilst allowing sufficient drainage of water. An aluminium base and top plate were machined locally and a perforated sheet was purchased, cut, rolled and welded to the required diameter.